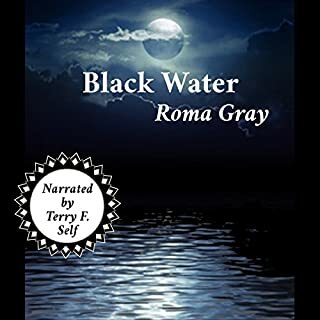 This is my introduction to the Writer Roma Gray, and it was a great way to meet her. The story has an incredible flow, it is verbose without being overly intellectual (not a bad thing). and it sets up the start of something much bigger. It begins with a jewelry heist gone awry, and ends with Hitler's Doll. The main character is having everything go wrong for him, and he finds himself on the lam, and ends up somewhere he shouldn't be. BlueBell has tinges of Robert the Doll and Anabelle mixed in, but is a set up for an even bigger (and better?) story. Gray's writing really sings. It is descriptive and draws you in fast, which is necessary in a short story like this. Her narrative keeps your attention with things ranging from broken keys to horny skeletons. Her narrator, Terry Self does an amazing job epitomizing her poor schlub of a main character, Jasper. You feel his panic, and sympathize with him with Self's empathetic tones. This is the first time hearing him (so I got a tofer in this tale) and I have to say he is impressive. All I can say is that I now want to hear the rest of the story. Great job, ROma and Terry! You make a nice pairing. Blue Bell is scarier than Chucky. No child’s play here. Zombies and scary dolls...oh my! Roma's method of storytelling is absolutely amazing. I went into this book thinking it would be a typical clown/jump scare type story, but damn, she not only messed with my head but made me reconsider my own bias against clowns. Well done! A good story and a good teaser for the author's novel: Haunted House Harbor, which I enjoyed quite a bit. Give it a listen! 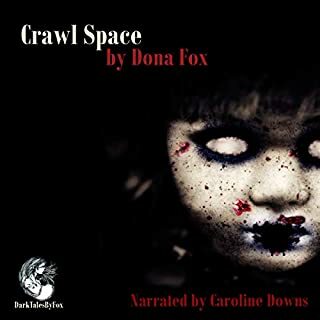 Another seriously creepy horror tale by the amazing Roma Gray! Ms. Gray has the ability to tell a tale in such a way that you really feel like you are in the story, not just reading a story! If clowns or ventriloquist dummies scare you, don't read this one! The picture on the cover gives you an idea of what is in store when you listen to this story. I love old-style horror ala "The Twilight Zone" and "Night Shift" since I was raised watching those shows when I was probably too young to be exposed to them. Ms. Gray writes in the same style and I love it! 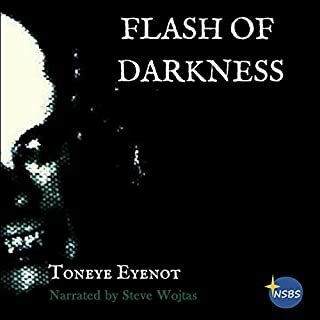 Terry Self does an amazing job (again) in his narration of this one. I hope that he continues to narrate for Ms. Gray! The story starts giving the audience a flavor of scandalous heist and ends up giving a taste of a sinister doll. And that of Adolf Hitler??? The story was pretty engaging throughout the end. After finishing i have come to know it is a segment from Ms. Roma Gray's "Haunted House" , which i am pretty much eager to give a look. Creepy and completely absorbing. I loved it. This leads (somehow) to him discovering a clown doll named BlueBell. This doll will change his life...forever. grab and hold a reader's attention in only 23 minutes, yet author Roma Gray accomplishes this with ease. 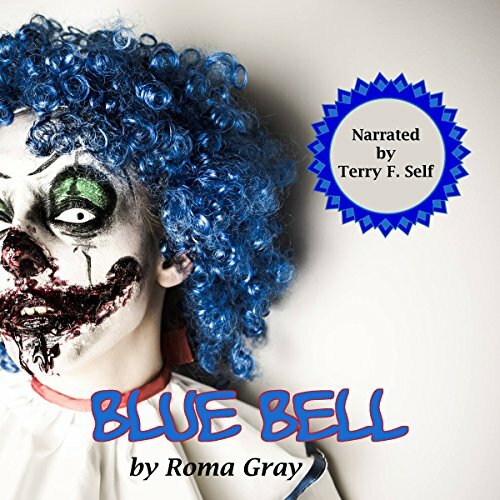 Would you consider the audio edition of Blue Bell to be better than the print version? Yes I would! I thought the narrator did a great job with this book. The two things that scare me the most in horror stories are dolls and clowns. Since this story contained a clown doll, I thought it made for the perfect horror story. What about Terry F. Self’s performance did you like? I thought his voice was great! Great horror story that I highly recommend! 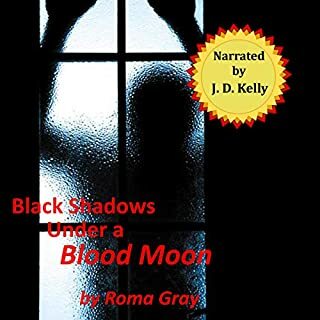 I've listened (audiobooks) to several of Roma Gray's stories. This is the first one in which I felt that there wasn't enough to the story. Maybe it's because I don't have a fear of clowns? I don't know. It's like there was all this buildup to what Jasper was going to do after leaving his brother at the bank, his goal, and family's backstory, but then once the doll is introduced, the story is over with. I am curious to read/listen to the story that features the doll more. The narrator Terri Self did a great job with the doll's voice, that was definitely creepy. 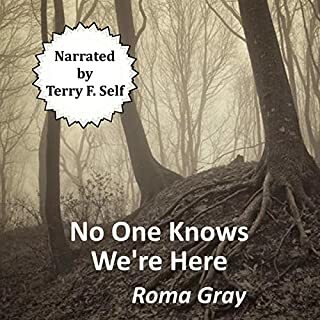 Terry Self’s narration style is perfect for Roma Gray’s writing. But it is her writing that is the star.Her writing envolves you from the first sentence. And you won’t want to stop listening until the story is finished.Easy in this instance, since the story is only 23 minutes long! 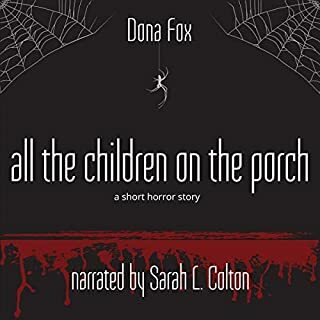 This short story is a twenty-three-minute audiobook. The main character is Jasper, who gets talked into doing something bad by his criminal big brother so that he can do something good with his ill-gotten gains. However, things don’t go according to plan and Jasper ends up hiding in a strange little building. While there, he meets Blue Bell, a blue-haired clown who wants to be friends. Of course, being a horror story, all is not as it seems. The story flowed nicely and the pace was good. The production of the audiobook was good, no music or sound effects and I didn’t hear any other background noises whilst listening. I also felt the narrator did a very good job with the manuscript and created good voices for each of the characters.